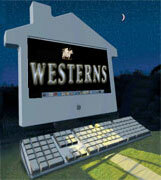 director, producer, actors, scenario, cinematographer, musical score, western movie poster, etc. to be used with a database program. 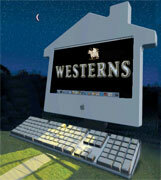 installing Westerns on a Mac, a PC, a laptop, smartphone or tablet. Which film, which actor (the prisonner, a famous european) ?